We hope you find this website useful as we try to keep you up to date on events, homework and information you may need. You can also visit us on our Facebook page and Twitter account, both of which you can access via this website. If you would like to receive updates, you can subscribe to the website on the contact us page. Jessica Barkby received her Bachelor of Arts degree in Elementary Education in 2003 and then completed her Master of Education degree in 2007. She has taught fourth grade for twelve years and all of her teaching experience has been in fourth grade with Middlebury Community Schools. 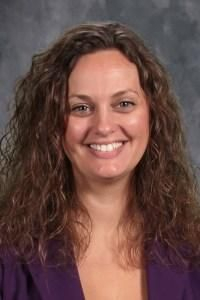 Mrs. Barkby enjoys reading, playing with her three children outside, and watching her favorite football team, the Kansas City Chiefs! 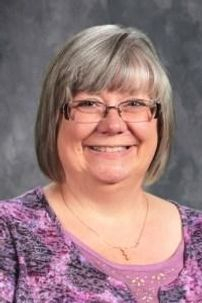 Vickie Emmons will be starting her 28th year of teaching. She received her Bachelor's Degree in Elementary Education from Morehead State University in Morehead, KY. She received her Master's Degree in Special Education with an emphasis on Mild Disabilities and Severe Emotional Disabilities from University of Saint Francis in Fort Wayne, IN. Mrs. Emmons enjoys reading, crocheting, and watching the University of Kentucky Wildcats play basketball. Here at Heritage, we believe that collaboration and teamwork are very important. Teachers are teaching in a unique way and Mrs. Barkby and Mrs. Emmons couldn't be more excited. Instead of one teacher you will have the benefit of two. Each teacher is able to teach to their strengths; this in turn will make their instruction much stronger. Students will switch classes for reading and math. When it comes to other subjects like writing the teachers will collaborate and even co-teach in some instances. Our school has researched this type of teaching and have found it to be very fruitful. We are very excited to implement this at Heritage. Unity is strength...when there is teamwork and collaboration, wonderful things can be achieved.